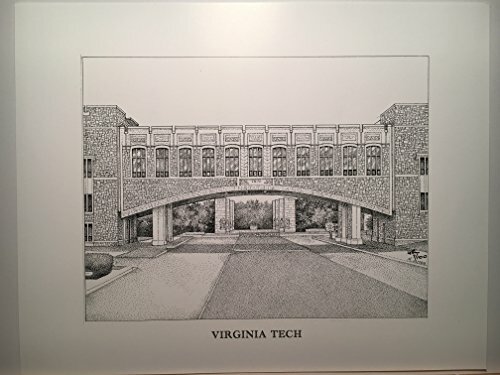 Limited edition pen and ink print from a hand-drawn original I did, focuses on the walkway, which spans Alumni Mall and connects Newman Library with Torgersen Hall. Centered in the background is the War Memorial/Chapel. The signed and numbered print is from a series of just 100 prints; and your purchase includes the print, foam-core backing, and about-the-artist flyer within an acid-free packaging.